Like many businesses, accounting firms tend to think that the only way to increase service sales is through more customers. And while generating new business is a vital part of the equation for success, it’s not necessarily the most important one. There is significantly more value (and money to be made) when firms focus on retaining clients instead of getting new ones on board. Investing resources in raising satisfaction and loyalty among existing clients can help you gain more business through the right word of mouth. And to help you succeed with your current retainers, here are five ways to achieve excellent client retention for your accounting firm. Before you create a retention strategy, you will first need to understand and evaluate your current level of retention. To do it, you will need to calculate and analyze the client retention rate (CRR) at your firm. The calculation is relatively simple. First off, choose a period to review – a month, quarter or year – it’s up to you. Then, subtract the number of clients at the end of that duration with the number of new clients you have acquired, and divide it with the number of customers you had at the start of that period. For example, if you had 50 clients at the start of last year and you acquired ten new clients during the same period and lost 5, then you have ((55-10)/50) x 100 = 90% retention rate. The best way to go about this is to listen to what your clients have to say. Set up an online survey, send an email questionnaire or set time aside during meetings to discover your client’s main pains. Ask open-ended questions and find out what can you do to improve your service. Similarly, you should reach out to former clients to discover why they left your firm to a competitor. Choose the most common answers and start implementing changes to your service. Customer incentives are a great way to reward your current client list. Giving loyalty discounts, first pick at new offers or super deals. Like free one-month services are always to reward loyalty and increase retention. Additionally, send gifts to clients on special occasions like a business anniversary, birthday, or during the holidays. The level of commitment will demonstrate how much you care about each client. In most cases, clients will need your support with difficult accounting matters. It’s vital to offer consultation services free of charge to existing clients to deliver excellent support. Be informative, friendly and patient when they contact you, and help them with their problems. If they are more comfortable talking to you face-to-face; arrange a meeting with them and prepare to answer all their questions. How well you set up meetings with clients can increase their user experience. 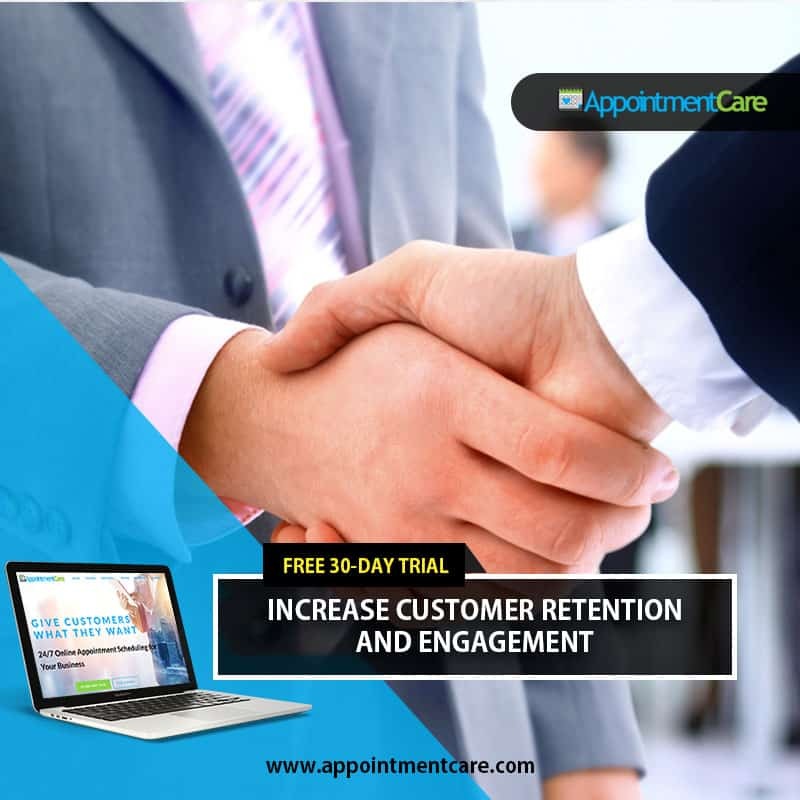 AppointmentCare is an easy way to integrate appointment scheduling software at your accounting firm to improve retention through satisfaction. All clients have to do is go online and schedule, cancel, reschedule, or check the time of their meeting, while you get notified and manage the appointment calendar from your phone. Sign up for a 30-day free trial or contact us for more information today.